Enchanting Entertainment: Delight in Broadway-caliber musicals, lively deck parties and fireworks at sea (fireworks on most cruises). Spacious Staterooms: Designed for Families: extra space and storage, sitting area, and split bath to allow more people to get ready at the same time. 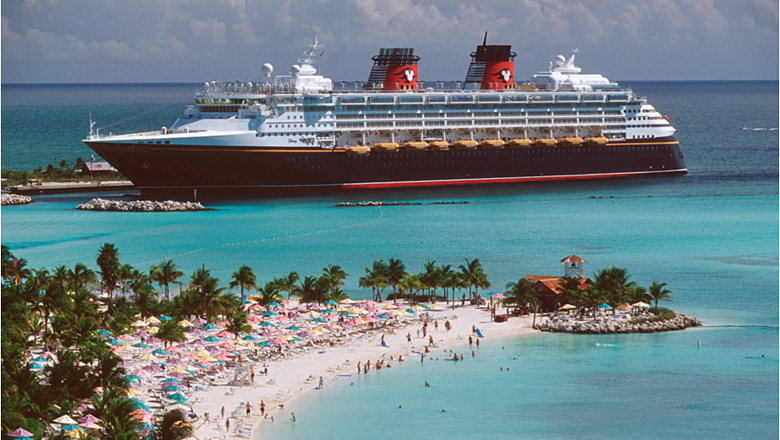 Disney’s Private Island: Relax in paradise with beach chairs, umbrellas, waterslides and a buffet lunch (on most Bahamian and Caribbean cruises). Variety of Dining Options: Enjoy upscale restaurants, buffets, poolside snacks and 24-hour room service. Imaginative Youth Clubs: Play in themed clubs for every age, staffed by specially trained Disney counselors.